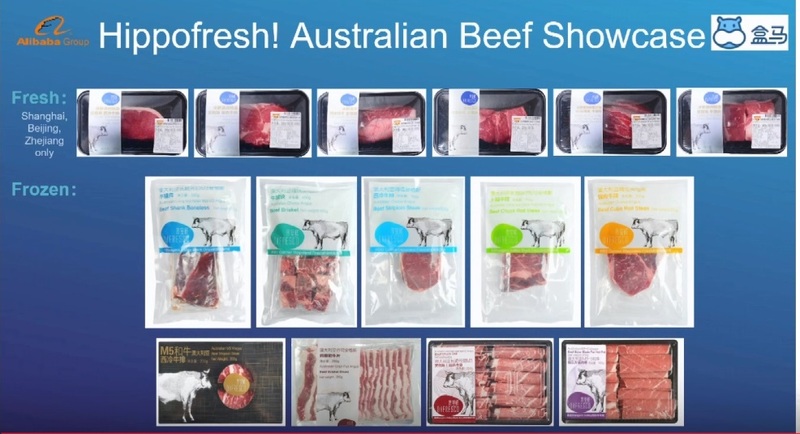 AUSTRALIAN red meat is in an excellent position to ride the e-commerce retail wave in China, producers attending a global markets forum as part of MLA’s annual meetings in Canberra heard last week. Director of business development for Chinese e-commerce giant Alibaba’s Australian and New Zealand operations, John O’Loghlen, told the gathering that fresh food was a big growth category across the company’s e-commerce platforms. “Fresh food is showing very big growth for Alibaba, but it has not been a segment that’s been well-served online, historically,” he said. The early years of online shopping in China were dominated by consumers looking for bargains and discounts, providing an easy way to compare price from a large number of sellers. However, e-commerce platforms have begun to expand their product ranges to include premium and high-end offers in order to improve margins and meet growing consumer demand for quality, rather than just bargains. In the meat category, e-commerce retailers previously offered mostly processed and frozen meat products, but there has been a recent expansion in the range of chilled products on offer. Alibaba and its various divisions have made a number of strategic investments to achieve that, including taking a stake in Ex-Fresh, China’s second largest cold-chain business, with 24 bases across 15 regions covering 310 cities. 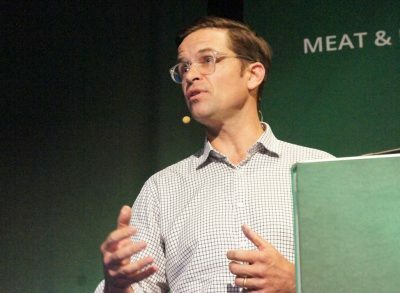 Most of the big cold chain businesses in China were currently owned and operated by the major quick service restaurant chains like McDonalds and Pizza Hut, Mr O’Loghlen said, but the Ex-Fresh investment would support Alibaba’s growing business in the fresh food space, through divisions like Hippofresh. He outlined some of Alibaba’s early work done with Australian quality red meat suppliers like Rangers Valley, O’Connors, and specialist Wagyu producer Mayura, in the fresh and frozen beef space in the past year, through the Hippofresh retail network. “This Australian beef showcase project started less than ten months ago. We had buying teams come out to Australia, visiting the properties involved in the supply chain, and working out exactly what the requirements would be for cut selection, portioning, packaging – as well as what production work should be done in China, and what should be done in Australia,” he said. Marketed under the DiFresco label, the product is sold through Alibaba’s Hippofresh in several categories under Y, YG and YP ciphers ranging from F1 and straightbred Angus to F1 and fullblood Wagyu. For Australian supply, provenance was hugely important in China, Mr O’Loghlen said. “We probably spent more time videoing and talking to people on farms in the week we were down here, pushing this project through, than I have with any other category coming to the market. We brought down our own drones, we went to every restaurant we could find with this product in it locally, to build the story,” he said. Mr O’Loghlen referenced the recently announced supply deal involving JBS and Alibaba’s Winchain division, for red meat supply possibly worth about US$2.1 billion over three years out of JBS’s South American operations. “I don’t think that deal impacts the Australian market, because I see the red meat product from Australia and New Zealand having a very different brand story (quality and provenance) in China than the product from South America,” he said. Mr O’Loghlen point to the ‘amazing consumption upgrade’ that had happened around the world in the past few years, with a billion people being elevated into a level of prosperity where they could afford products, including quality red meat, from this part of the world. He said e-retail in China was very different from the way most consumers in Australia went about shopping for products – whether it be infant formula, ugg boots, or fresh beef. The Alibaba business kept evolving, from retail commerce in business-to-business or business-to-consumer commerce in and out of China, into newer group buying platforms, and platforms where Alibaba buys the product and re-sells it. Mr O’Loghlen referenced the so-called ‘new retail’ online-to-offline trend. Mr O’Loghlen said similar patterns were emerging in Australia, with a younger generation of consumers who did not necessarily care when they shopped, where they shopped or how they shopped, so long as they got that ‘great brand story’ about the brands they were interested in. He said Alibaba’s founder, Jack Ma, had a very warm relationship with Australia, having visited this country as a young man, where he learned a lot about Australian culture and people. “That helps us tell the Australian/New Zealand story back to China,” he said. Illustrating the rapid pace of change in the online retail space, Mr O’Loghlen said Alibaba had achieved total revenue in 19 years that it had taken the US’s largest ‘bricks and mortar’ retailer, Walmart, 54 years to achieve. “It shows the time compression that is happening in the world in which we now live,” Mr O’Loghlen he said. Alibaba last year attracted 552 million active consumers. Last week’s Singles Day festivities involved some 180,000 brands selling about US$31 billion worth of product in 24 hours. As China is a key destination for Australian red meat, understanding the market and consumer behaviours includes appreciating the important role of e-retail, MLA told stakeholders in a recent report. According to MLA’s 2018 Global Consumer Tracker research, in the context of Australia’s key export markets, Chinese consumers are among the heaviest users of online retailers to purchase beef and lamb. While it’s important to keep in mind that e-commerce still represents a relatively small channel for beef and lamb sales in China, it’s projected to be the fastest growing channel in terms of sales value in the next several years (estimated 16pc annual growth rate out to 2020), MLA said. In its early stages, e-commerce in China was dominated by sales of packaged goods, electronics and apparel. However, significant investments in cold chain storage and logistics by e-commerce companies in recent years had fuelled sales growth for fresh produce categories, including meat, in the channel. In China’s key cities, consumers mostly purchase Australian red meat from hypermarkets and supermarkets. However, of the red meat purchased online, a somewhat higher proportion is Australian than domestic, MLA’s report said. Tier-one cities like Shanghai and Beijing have the highest concentrations of affluent consumers who can more regularly afford and appreciate imported meat products, are willing to pay for convenience and where cold chain logistics are relatively more developed. E-commerce also offers easier access to Australian product to consumers living in cities, towns and suburbs where a range of product may not yet be available at local ‘bricks and mortar’ stores, MLA said. Convenience is a key driver of online shopping in China, as elsewhere. Online shopping offers to save shoppers time and energy, while having a much larger range of product choices and access to sellers online that enables 24/7 question and answer facilities and negotiation. Chinese consumers had a relatively good level of trust in the channel’s largest players, MLA said. This is due to a combination of strong commitments made to crack down on fakes and unsafe products sold through the channel, no-questions-asked money-back guarantees and rapid problem resolution, as well as the threat of negative reviews posted by dissatisfied customers. E-commerce sites offer consumers more information about products than is typically available at point-of-sale at ‘bricks and mortar’ stores. At the same time, Chinese consumers’ relative lack of familiarity with beef means that shoppers have tended to be more strongly influenced by marketing claims, product images and packaging design than objective product specifications.